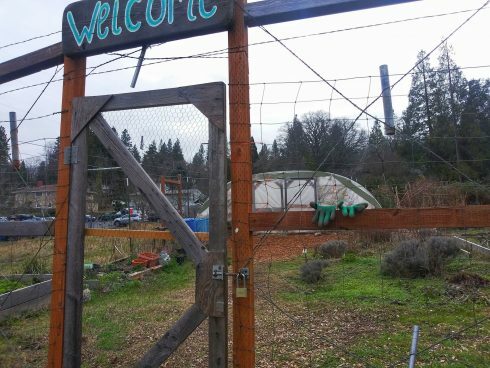 Tucked within wood and wire at the corner of Henry St. and South Mountain Ave, SOU’s Community Garden is a comfortable sanctuary where students and community members can rent low-cost plots to practice organic gardening. Behind the fence’s squealing gate, the urban environment falls away and to reveal individual garden plots, personalized to each owner with signs dedicated to what might grow as hopeful gardeners prepare for spring. The garden is full of plots and a number of projects– a feat considering how few students that are employed here. Blackberry bushes assault the gates of the Garden, and a hole in the storage area’s roof cautiously drips onto the ground. A ruptured mound of earth indicates that a vole may be snooping around. With its upkeep list growing longer by the day, the Garden relies on its few student employees and volunteers to help its success. 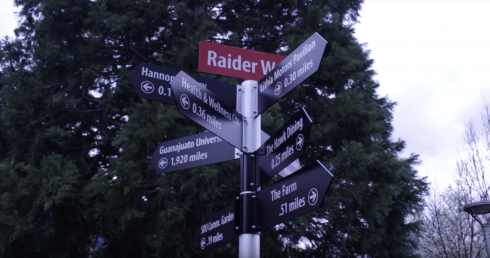 The Garden is free for currently enrolled SOU students, but is primarily paid for by its memberships– a small fee of $40 a year, but a recent grant from the “Green Fund” is helping to change that. Because the Green Fund comes from students fees, any student can create a proposal for a project, Swanson explained. The EAC has created a user-friendly grant process. Their webpage, gives basic parameters for writing a proposal and frequently asked questions. Students can send that proposal to the Director of Sustainability, Kayla Bondoc for review, and then present it to the EAC for student approval. Students, like Swanson, use this as a capstone opportunity and to create a more sustainable campus. Swanson has an ongoing project to create a bioswale in parking lot 36. A project that will mitigate flooding, act as a natural filter, and create an aesthetic element to the lot. 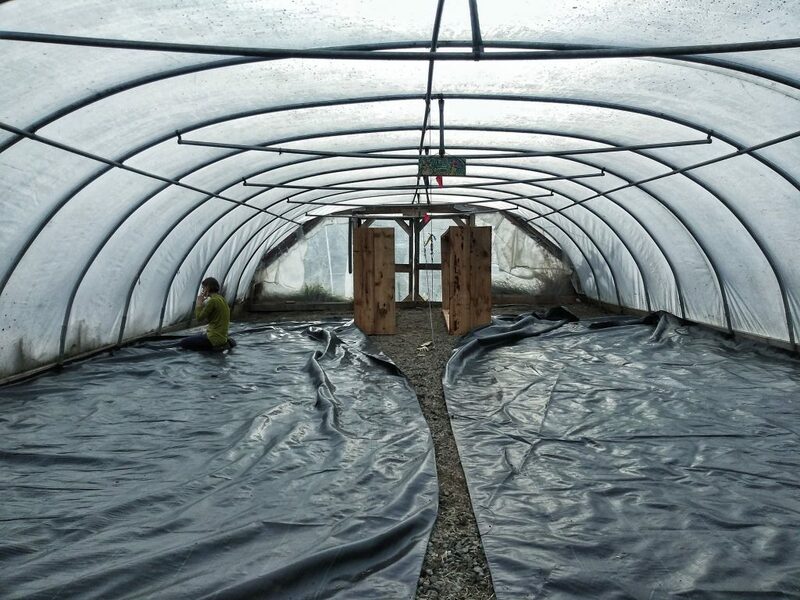 The newly established greenhouse will act as a nursery for the new seedlings. It will provide protection and support as they grow over the winter months, before being transported to the outside world. This revitalized space will also be host to ongoing student workshops. Providing a space to teach students about sustainability, the art of gardening, and growing your own food. She explained that the recently formed Food Justice League will now have dedicated space to grow fresh produce that will be donated to the SOU Student Food Pantry. The Community Garden staff has taken initiative to create a plot for the SOU Food Pantry. Growing fresh vegetables for students, students can find the SOU Food Pantry on the third floor of the Stevenson Union.Student funded projects can be found throughout campus: new Solar panels and Bioswales demonstrate the campus’s commitment to sustainability. 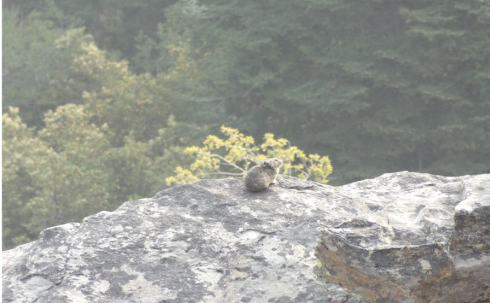 Project idea or proposals can be emailed to assousustain@sou.edu. 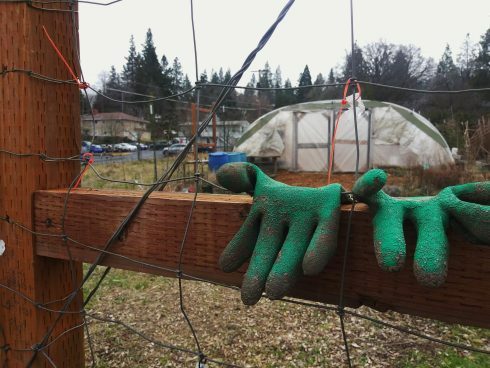 Students interested in garden plots or volunteering can sign up online or email communitygarden@sou.edu.